I was in the very grand Speaker’s House in Westminster recently listening to Lord Adonis deliver a lecture on ‘What if Harold Wilson had fallen and Roy Jenkins became Prime Minister in 1968?’ It was both fascinating and illuminating and I certainly have a new regard for the late Labour politician who was the son of a Welsh coal-miner and staunch trade unionist. However, what caught my attention during the lecture was the beaming face of John Bercow, host of this wonderful event in his lavish private quarters which are given as part and parcel of the job of being Speaker of the House of Commons. Bercow was even more jaunty than usual and his normal effervescent positively bubbled over that night. I wonder if he’d just stumbled across the 400-year-old law which enabled him to throw a spanner in the Brexit works? He’s certainly come under extraordinary firearm the British media after he ruled that the Prime Minister, Theresa May, could not bring her Brexit plans back before MPs for a third time unless they were substantially different from those tabled and defeated last week. 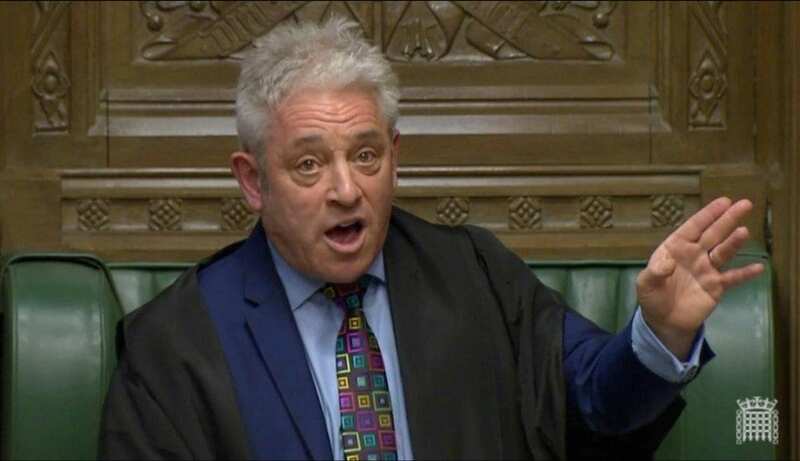 Bercow invoked a convention dating back to 1604 to stop the vote on the withdrawal agreement from taking place prompting most of Fleet Street to accuse him of treachery. The Daily Mail, under the very fine editorship of my former colleague Geordie Greig, branded Bercow’s work as an “act of sabotage”. The ebullient Speaker has opened himself to accusations of “anti-Brexit prejudice” by obstructing the vital business of government. of course most of the bile vented towards The Speaker’s direction was nothing more than pompous invective. I’m just wondering if he’s been sitting on the 1604 ruling for some weeks now. Looking back on that night in February at The Speaker’s House he certainly looked like a man who’d just been given next week’s winning Lottery numbers. But in truth, he’d probably stumbled on the explosive legislation from 1604 – a year before Guy Fawkes tried to blow up the British Parliament – which was last used by a Commons speaker in 1920. The particular law states quite clearly that MPs cannot vote on an identical matter twice in the same parliamentary session. I’ve often said if we learn nothing from history we will continue to make the same blunders time and again. So it’s wonderful, in so many ways, that Bercow has given everyone in parliament a history lesson they will not forget in a hurry.